Based on the DC Comics character, Superman’s cousin, the 12-year-old Kara Zor-El, escaped the doomed planet Krypton with her parents’ help at the same time as the infant Kal-El. Protected and raised on Earth by her foster family, Jeremiah and Eliza Danvers, Kara grew up in the shadow of her foster sister, Alex, and learned to conceal the phenomenal powers she shares with her famous cousin in order to keep her identity a secret. Years later, at 24, Kara lives in National City assisting media mogul and fierce taskmaster Cat Grant. She works alongside her friend and IT technician Winslow “Winn” Schott and famous photographer James Olsen, who Grant just hired away from Metropolis’s Daily Planet to serve as her new art director. However, Kara’s days of keeping her talents a secret are over when Hank Henshaw, head of a super-secret agency where Kara’s older sister, Alex Danvers also works, enlists her to help them protect the citizens of National City from sinister threats. Though Kara will need to find a way to manage her newfound empowerment with her very human relationships, her heart soars as she takes to the skies as Supergirl to fight crime. 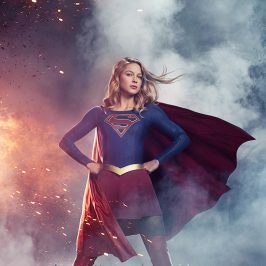 In the series premiere episode, Superman’s cousin, Kara Zor-El – after 12 years of keeping her powers a secret on Earth – decides to finally embrace her superhuman abilities and become the hero she was always meant to be. When Kara’s attempts to help National City don’t go according to plan, she must put aside the doubts that she – and the city’s media – has about her abilities in order to capture an escapee fro the Kryptonian prison, Fort Rozz. Also, Cat pressures James to use his connection to Superman to get her an interview with Supergirl. Supergirl’s powers are tested when Reactron, one of Superman’s formidable enemies, arrives in National City and targets the young hero. Also, Cat plans to run an expose on Supergirl. Kara’s Thanksgiving may be ruined when she suspects her foster mother, Dr. Eliza Danvers, who is coming to town, disapproves of her new role as a super hero. Also, when an accident transforms a volatile CatCo employee into the villainous Livewire, she targets Cat Grant and Supergirl. Brit Morgan guest stars as Leslie Willis/Livewire. Personal and professional stress get the better of Kara when she goes too far during a training exercise against Red Tornado, a military cyborg commissioned by Lucy Lane’s father, General Sam Lane. 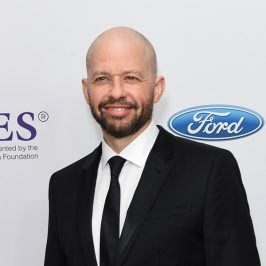 Also, Cat’s tough exterior is shaken by a visit from her judgmental mother, Katherine, and Alex enlists Winn to look into her father’s mysterious death. IDDO GOLDBERG guest stars as Red Tornado and its creator, Dr. T.O. Morrow. Kara goes toe-to-toe with Astra (recurring guest star LAURA BENANTI) when her aunt challenges Kara’s beliefs about her mother. Also, Cat is threatened with being removed as the CEO of CatCo after a hacker exposes her private and damaging emails. Kara does her best to support Winn when his father, the supervillain Toyman, breaks out of prison and seeks out his son for unknown reasons. Also, Cat offers Lucy a job at CatCo, and Alex asks Hank to use his powers to help uncover Maxwell Lord’s plans. Kara must help Hank face his painful past when a White Martian – a member of the alien race that wiped out his people – kidnaps Senator Miranda Crane, an anti-alien politician. Also, Cat’s estranged son, Adam, arrives in National City. Supergirl does battle with the deadly Master Jailer, who is hunting and executing escaped Fort Rozz prisoners. Also, Cat hires a second assistant, Siobhan Smythe, who immediately tries to one-up Kara. Meanwhile, James and Kara disagree over the DEO’s methods. While James’s relationship with Lucy reaches a crossroads, Kara travels to Superman’s Fortress of Solitude in hopes of learning how to defeat Indigo, a dangerous being with a connection to Kara’s past, who can transport via the Internet. After being exposed to Red Kryptonite, making her malicious and dangerous, Kara turns on her friends and the citizens of National City. Also, Cat appears on The Talk to discuss Supergirl. J’onn J’onzz reveals the details of meeting Kara and Alex’s father, Dr. Jeremiah Danvers, and assuming Hank Henshaw’s identity. Also, Kara debates trusting someone new with her secret identity, while Siobhan plots against Kara. Supergirl gains a new ally when the lightning-fast super hero The Flash suddenly crosses over from an alternate universe and offers to help Kara battle Silver Banshee (aka Siobhan) and Livewire in exchange for her help in finding a way to return him home. 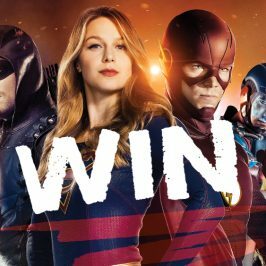 In the first season finale, Supergirl faces her greatest test yet when Non and Indigo plan to destroy every person on the planet – forcing Kara to do battle with an unexpected foe and risk everything…including her life. Kara has left the safety of being Cat Grant’s assistant in order to figure out what she really wants to do, while as Supergirl she continues to work at the DEO, protecting the citizens of National City and searching for Jeremiah and Cadmus. Along the way, she will team up with Superman (recurring guest star TYLER HOECHLIN) to battle new villains, as she strives to balance her personal life with her life as a superhero. 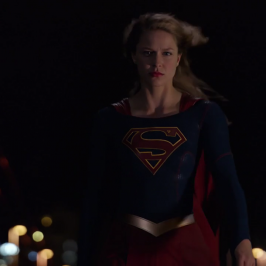 In the season two premiere, a new threat emerges in National City, and Kara teams up with her cousin, Superman to stop it. Although Kara is thrilled to have family in town, it leaves Alex feeling a bit left out. Meanwhile, Hank and Supergirl are stunned by the pod that came crashing to Earth. When Cadmus attacks National City with a kryptonite-powered villain who ends up seriously hurting Supergirl, Superman blames Hank because the kryptonite was stolen from the DEO. Meanwhile, Kara’s first day at her new job doesn’t go as she planned after she meets her new boss, Snapper Carr (recurring guest star IAN GOMEZ). When an attack is made on the President (guest star LYNDA CARTER) as hot-button, alien vs. human rights issues heat up in National City, Supergirl and the DEO are assigned to protect the President and bring in the responsible party. While Alex teams up with Detective Maggie Sawyer (FLORIANA LIMA) to investigate the case, Kara searches for a recently escaped Mon-El (new series regular CHRIS WOOD), who she fears may be the alien behind the assault. When Kara and Alex investigate the murder of an unregistered alien, the trail leads to an alien fight club run by Roulette (guest star DICHEN LACHMAN), the ringmaster who commands aliens to fight in mortal combat for the entertainment of rich humans. While trying to stop the fighting, Supergirl and Martian Manhunter find themselves up against a surprising opponent. Meanwhile, Hank is thrilled to have found another Martian and tries to get to know M’Gann (guest star SHARON LEAL) better. Supergirl takes Mon-El under her wing and begins to train him. Supergirl takes on a ruthless new gang who has been armed with dangerous new alien technology. When Cadmus sends a video to the DEO, the team realizes Cadmus is the one staffing the criminals for a secret mission. Meanwhile, Kara gets Mon-El a job as an intern at CatCo, James makes an important decision, and Lena invites Kara to attend one her fundraisers. Eliza Danvers (HELEN SLATER) comes to town to celebrate Thanksgiving with her daughters. Alex decides it’s time to come out to her mother; Kara is shocked when Eliza suggests Mon-El has feelings for her, and Winn and James consider telling Kara the truth about the Guardian. Meanwhile, CADMUS unleashes a virus that instantly kills any alien in the vicinity so Kara enlists an unexpected ally — Lena Luthor (recurring guest star KATIE McGRATH). 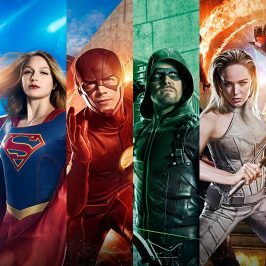 Finally, the epic DC Super Hero Crossover Event kicks off when Barry Allen (guest star GRANT GUSTIN) and Cisco Ramon (guest star CARLOS VALDES) seek Kara’s help with an alien invasion on their Earth. 20: Will The Real Miss Tessmacher Please Stand Up?